Wedding photography in Beaver Creek by outdoor wedding photographer Mark Creery. Mark is comfortable photographing in many different situations. 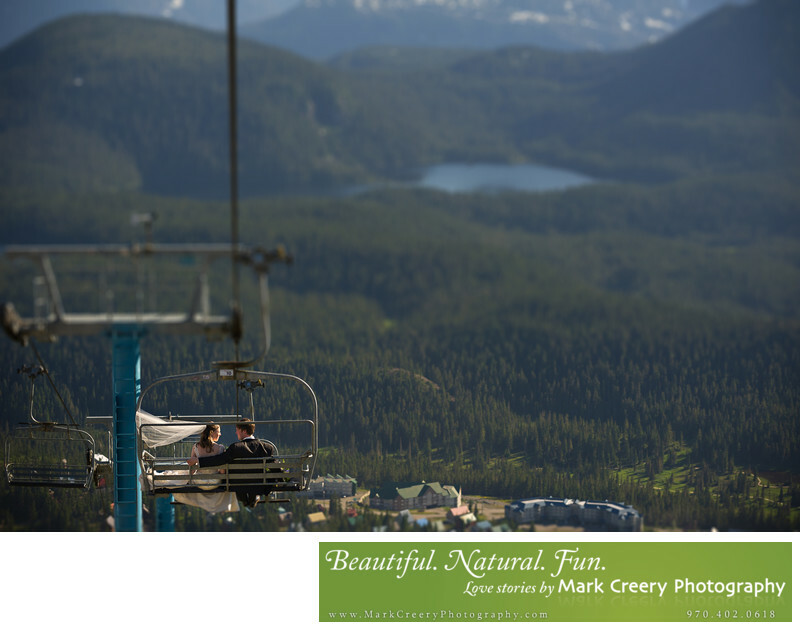 In this wedding photo he is on a chair lift capturing the landscape and the couple sharing a quiet moment together while her veil blows in the wind.